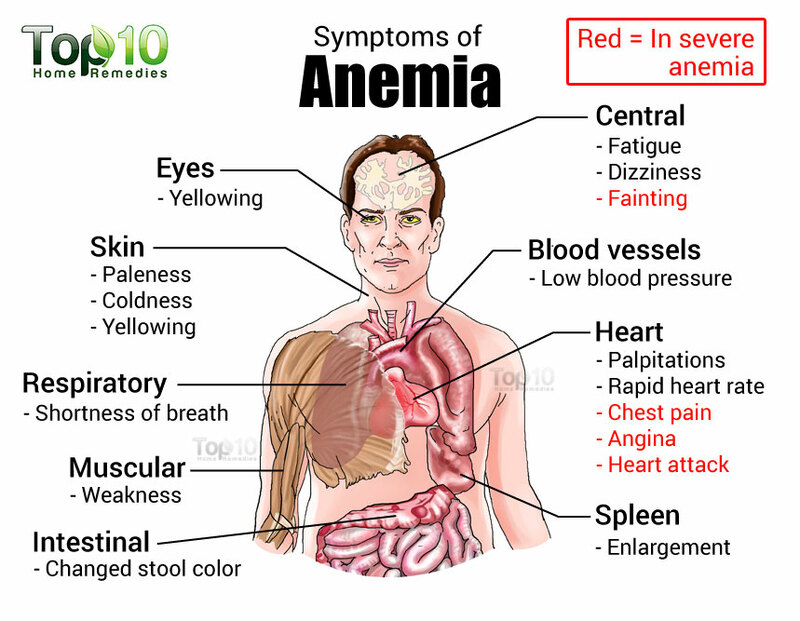 Anemia develops when you don’t have enough robust, healthy red blood cells to carry oxygen throughout your body. The blood cells may lack enough hemoglobin, the protein that gives blood its red color. Anemia affects one in 10 teen girls and women. It also develops in men and children and is linked to some illnesses. Anemia is a condition that develops when your blood lacks enough healthy red blood cells or hemoglobin. Hemoglobin is a main part of red blood cells and binds oxygen. If you have too few or abnormal red blood cells, or your hemoglobin is abnormal or low, the cells in your body will not get enough oxygen. Symptoms of anemia — like fatigue — occur because organs aren’t getting what they need to function properly. Anemia is the most common blood condition in the U.S. It affects about 3.5 million Americans. Women, young children, and people with chronic diseases are at increased risk of anemia. 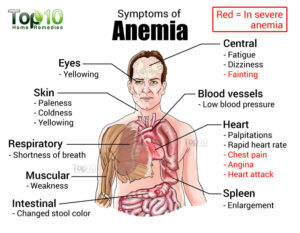 There types of different anemia’s but today’s we’ll look more into is Iron deficiency anemia. Headache, Dizziness or lightheadedness, Cold hands and feet, Inflammation or soreness of your tongue, Brittle nails, and Fast heartbeat. Unusual cravings for non-nutritive substances, such as ice, dirt or starch. Poor appetite, especially in infants and children with iron deficiency anemia. An uncomfortable tingling or crawling feeling in your legs (restless legs syndrome). Continuous ambulatory peritoneal dialysis (CAPD): The patient performs exchanges manually three to four times per day. Automated peritoneal dialysis (APD): An automated cycler performs multiple nighttime exchanges. At the end of this time the patient either instills fluid in the abdomen for a daytime dwell- continuous cycling peritoneal dialysis (CCPD) or leaves no dialysate in the abdomen for the daytime- nocturnal intermittent peritoneal dialysis (NIPD). NIPD is probably not suitable for patients with minimal residual kidney function (RKF).Important goals for a PD patient to achieve include: normalization of acid-base abnormalities, bone and mineral metabolism abnormalities, blood pressure, nutritional status, and functional status.Ultra-filtration failure is clinically recognized as the inability to maintain normal fluid homeostasis. While peripheral and pulmonary edema are specific findings of volume overload, more sensitive signs include hypertension and weight gain. In the evaluation of volume overload, the provider must assess contributing factors such as dietary sodium excess, non-compliance with medications or with the dialysis regimen, episodes of hyperglycemia (which decrease the osmotic stimulus for water removal), and decreased residual kidney function. Difficulty with ultra-filtration may be associated with dialysate leaks. Leaks can occur into the pleural space (hydrothorax), abdominal wall (causing localized edema), or into a hernia. Due to sequestration of fluid and increased lymphatic absorption, ultrafiltration is decreased. A rare condition, encapsulating peritoneal sclerosis (EPS) may present with ultrafiltration failure. The patient may also have symptoms of uremia (due to inadequate solute removal), nausea/vomiting, decreased appetite, and weight loss. Soon after an episode of peritonitis, a decrease in drain volume can be detected in many patients. This may explain the correlation between peritonitis and a high rate of cardiovascular events. After an overnight dwell, 2 liters of 2.5% dextrose solution is instilled and dwells for 4 hours. At time 0, 2 hrs, and 4 hours, samples of dialysate urea, glucose, sodium, and creatinine are measured along with serum values at 2 hours. One can then calculate the ratio of dialysate/plasma (D/P) creatinine and the ratio of dialysate glucose at 4 hrs to time 0 (D/Do glucose). Patients who have rapid absorption of glucose and/or rapid removal of creatinine are classified as rapid (or high) transporters while patients who have slow equilibration of urea, creatinine, and dextrose are slow transporters. Using published nomograms, patients can be classified in one of four categories: High, High-Average, Low-Average, and Low transporters. PET allows the provider to tailor a dialysis prescription to the patient’s peritoneal characteristics. In general, fast transporters will have better ultrafiltration with shorter exchanges and usually are treated with CCPD or NIPD. One should perform the first PET test 4 – 6 weeks after initiating dialysis as it may be inaccurate immediately after starting PD. Similarly, a PET should not be performed within one month of an episode of peritonitis. A PET only needs to be repeated for a clinical change. There is no role for routine monitoring of transport status. Based on a 24 hour collection of urine and sample of drained dialysate over 24 hours. Dialysis dose is typically quantified by the removal of urea (Kt/Vurea). The daily peritoneal Kt urea is calculated by multiplying D/P urea by 24 hour drain volume. To normalize for urea distribution volume (V), which is assumed to be total body water, Kt urea is divided by V which can be calculated through many methods (such as Watson method). Finally, to arrive at the weekly Kt/V (std Kt/V) the daily Kt/V is multiplied by 7. To calculate renal (residual) Kt/V, U/P urea is multiplied by 24 hour urine volume and divided by V. The renal Kt/V is multiplied by 7 as well. The renal Kt/V and peritoneal Kt/V can then be added together to give the total Kt/V result. In patients who rely on residual kidney function to achieve the minimum acceptable weekly Kt/V urea of 1.7, urine collection should be done every two months; dialysate collection and urine collection is otherwise typically done every four months. Observational studies suggested that higher Kt/V urea values are correlated with decreased mortality. However, the early studies did not separate renal urea removal from dialytic urea removal. Subsequent analysis of large cohorts, such as CANUSA, have demonstrated that the presence of residual kidney function is far more important to survival than peritoneal urea removal. ADEMEX (Mexico): Achieved peritoneal Kt/V 2.2 vs 1.8. No difference in mortality or hospitalizations were seen although more patients withdrew from the low dose group due to uremia. Lo WK et al (Hong Kong): Patients randomized to three total (renal + peritoneal) Kt/V targets-1.5 to 1.7, 1.7 to 2.0, and > 2.0. This study demonstrated no difference in survival or hospitalizations but patients in the lowest dose group had worse anemia and higher erythropoietin requirements. Patients in that group were more likely to be removed from the study by their physician due to uremic symptoms. Mak et al (Hong Kong): Patients on CAPD randomized to extra exchange or not. Achieved peritoneal Kt/V was 1.56 vs 1.92. There was no difference in serum albumin but higher dose group had fewer hospitalizations. Plain abdominal X-rays are performed to evaluate for malposition of the peritoneal catheter. The normal position of catheter is in the pelvic gutter. In patients with normal inflow of dialysate but problems with outflow, the most common underlying cause is constipation. However, if symptoms do not improve after resumption of normal bowel movements, abdominal X-ray should be done to assess catheter position. For peritoneography, the initial X ray is taken, then 100-200 ml non-ionic contrast is mixed into a 2L dialysate bag and instilled in the patient. The patient changes positions to mix dialysate and a repeat X ray is taken. 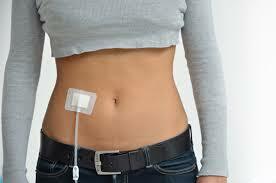 Can be used to diagnose an entrapped catheter or a peritoneal leak. Can be used to evaluate the presence of dialysate leaks. Contrast injection as per peritoneography can help to delineate the leak. Abdominal computed tomography (CT) scan can also be used when EPS is suspected. Typical imaging findings include peritoneal calcifications, thick-walled “cocoon” encasing the intestines, and bowel dilatation. Cardiomyopathy (kahr-dee-o-my-OP-uh-thee) is a disease of the heart muscle that makes it harder for your heart to pump blood to the rest of your body. Cardiomyopathy can lead to heart failure. The main types of cardiomyopathy include dilated, hypertrophic and restrictive cardiomyopathy. Treatment — which might include medications, surgically implanted devices or, in severe cases, a heart transplant —this would all depend on which type of cardiomyopathy you have and how serious it is. See your doctor if you have one or more signs or symptoms associated with cardiomyopathy. Call 911 or your local emergency number if you have severe difficulty breathing, fainting or chest pain that lasts for more than a few minutes. Because some types of cardiomyopathy can be hereditary, if you have it your doctor might advise that your family members be checked. Dilated cardiomyopathy. In this type of cardiomyopathy, the pumping ability of your heart’s main pumping chamber — the left ventricle — becomes enlarged (dilated) and can’t effectively pump blood out of the heart.Although this type can affect people of all ages, it occurs most often in middle-aged people and is more likely to affect men. The most common cause is coronary artery disease or heart attack. Hypertrophic cardiomyopathy. 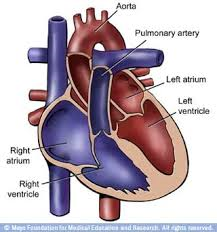 This type involves abnormal thickening of your heart muscle, particularly affecting the muscle of your heart’s main pumping chamber (left ventricle). The thickened heart muscle can make it harder for the heart to work properly.Hypertrophic cardiomyopathy can develop at any age, but the condition tends to be more severe if it becomes apparent during childhood. Most affected people have a family history of the disease, and some genetic mutations have been linked to hypertrophic cardiomyopathy. Restrictive cardiomyopathy. In this type, the heart muscle becomes rigid and less elastic, so it can’t expand and fill with blood between heartbeats. This least common type of cardiomyopathy can occur at any age, but it most often affects older people.Restrictive cardiomyopathy can occur for no known reason (idiopathic), or it can by caused by a disease elsewhere in the body that affects the heart, such as when iron builds up in the heart muscle (hemochromatosis). Arrhythmogenic right ventricular dysplasia. In this rare type of cardiomyopathy, the muscle in the lower right heart chamber (right ventricle) is replaced by scar tissue, which can lead to heart rhythm problems. It’s often caused by genetic mutations. Most retinal tears need to be treated by sealing the retina to the back wall of the eye with laser surgery or cryotherapy (a freezing treatment). Both of these procedures create a scar that helps seal the retina to the back of the eye. This prevents fluid from traveling through the tear and under the retina, which usually prevents the retina from detaching. These treatments cause little or no discomfort and may be performed in your ophthalmologist’s office. With laser surgery, your ophthalmologist uses a laser to make small burns around the retinal tear. The scarring that results seals the retina to the underlying tissue, helping to prevent a retinal detachment. Your eye surgeon uses a special freezing probe to apply intense cold and freeze the retina around the retinal tear. The result is a scar that helps secure the retina to the eye wall. Almost all patients with retinal detachments must have surgery to place the retina back in its proper position. Otherwise, the retina will lose the ability to function, possibly permanently, and blindness can result. The method for fixing retinal detachment depends on the characteristics of the detachment. In each of the following methods, your ophthalmologist will locate the retinal tears and use laser surgery or cryotherapy to seal the tear. This treatment involves placing a flexible band (scleral buckle) around the eye to counteract the force pulling the retina out of place. The ophthalmologist often drains the fluid under the detached retina, allowing the retina to settle back into its normal position against the back wall of the eye. This procedure is performed in an operating room. Healthcare-associated infections (HAIs) represent a huge problem and the figures from the CDC and ECDC give a sense of its scale: Respectively, they estimate that each year, 1.7 million people in the US and 4.2 million in Europe acquire a HAI. Methicillin-resistant Staphylococcus aureus (MRSA), also known as multidrug resistant S. aureus, includes any strain of S. aureus that has become resistant to the group of antibiotics known as beta-lactam antibiotics. Included in this group are the penicillins (methicillin, amoxicillin, oxacillin) and cephalosporins. Staphylococcus aureus includes gram-positive, nonmotile, non-spore-forming cocci that can be found alone, in pairs, or in grapelike clusters. When penicillin was first introduced in the early 1940s, it was considered to be a wonder drug because it reduced the death rate from Staphylococcus infection from 70% to 25%. Unfortunately, by 1944, drug resistance was beginning to occur, so methicillin was synthesized, and, in 1959, it became the world’s first semisynthetic penicillin. 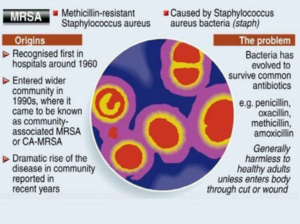 Shortly thereafter in 1961, staphylococcal resistance to methicillin began as well, and the name “methicillin-resistant S. aureus” and the acronym MRSA were coined. 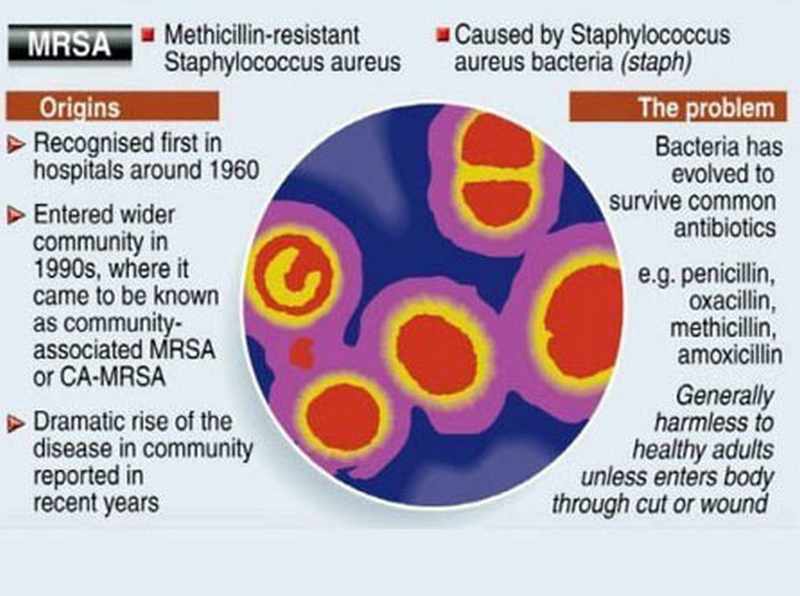 Although methicillin was discontinued in 1993, the name and acronym have remained because of MRSA history. MRSA is now the most common drug-resistant infection acquired in healthcare facilities. In addition to becoming more problematic as a top HAI in recent years, transmission of MRSA has also become more common in children, prison inmates, and sports participants. Community-associated MRSA (CA-MRSA) most often presents in the form of skin infections (see Figure 5). Hospital-acquired MRSA (HA-MRSA) infections manifest in various forms, including bloodstream infections, surgical site infections, and pneumonia. Although approximately 25–30% of persons are colonized in the nasal passages with Staphylococcus, less than 2% are colonized with MRSA. MRSA are extremely resistant and can survive for weeks on environmental surfaces. Transfer of the pathogen can occur directly from patient contact with a contaminated surface or indirectly as healthcare workers touch contaminated surfaces with gloves or hands and then touch a patient. 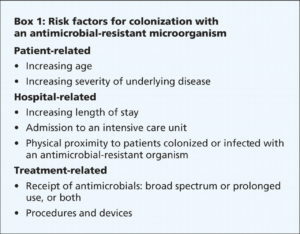 Risk factors for healthcare-acquired MRSA infection include advanced age, young age, use of quinolone antibiotics, and extended stay in a healthcare facility. Those with diabetes, cancer, or a compromised immune system are also at increased risk of infection. Symptoms of MRSA infection vary depending on the type and stage of infection and the susceptibility of the organism. Skin infections may appear as painful, red, swollen pustules or boils; as cellulitis; or as a spider bite or bump. They can be found in areas where visible skin trauma has occurred or in areas covered by hair. Patients may also have fever, headaches, hypotension, and joint pain. Complications of MRSA-related skin infections include endocarditis, necrotizing fasciitis, osteomyelitis, and sepsis. Patient history of admission to a healthcare facility is useful in diagnosing HA-MRSA. Definitive diagnosis of MRSA is made by oxacillin/methicillin resistance that is shown by lab culture and susceptibility testing. Specimens submitted for testing vary depending on the site of suspected infection and may include tissue, wound drainage, sputum, respiratory secretions, and blood or urine cultures. Treatment for MRSA infections varies based on site of infection, stage of infection, and age of the individual. Treatment includes drainage of abscesses, surgical debridement, decolonization strategies, and antimicrobial therapy with antibiotics such as vancomycin #1 in alot of cases, clindamycin, daptomycin, linezolid, rifampin, trimethoprim-sulfamethoxazole (TMP-SMX), quinupristin-dalfopristin, telavancin, and tetracyclines (limited use). MRSA is rapidly becoming resistant to rifampin; therefore, this drug should not be used alone in the treatment of MRSA infections. Consultation with an infectious disease specialist is recommended for treatment of severe MRSA infections. Follow procedures to recognize previously colonized and infected patients. Follow appropriate hand hygiene practices and isolation precautions (see discussion on hand hygiene and isolation precautions later in this course). The CDC has not made a recommendation on when to discontinue contact precautions. Healthcare workers should check with their individual institution’s infection control policies. Place patients in single rooms, or, if a single room is not available, cohort patients with the same MRSA in the same room or in the same patient care area. 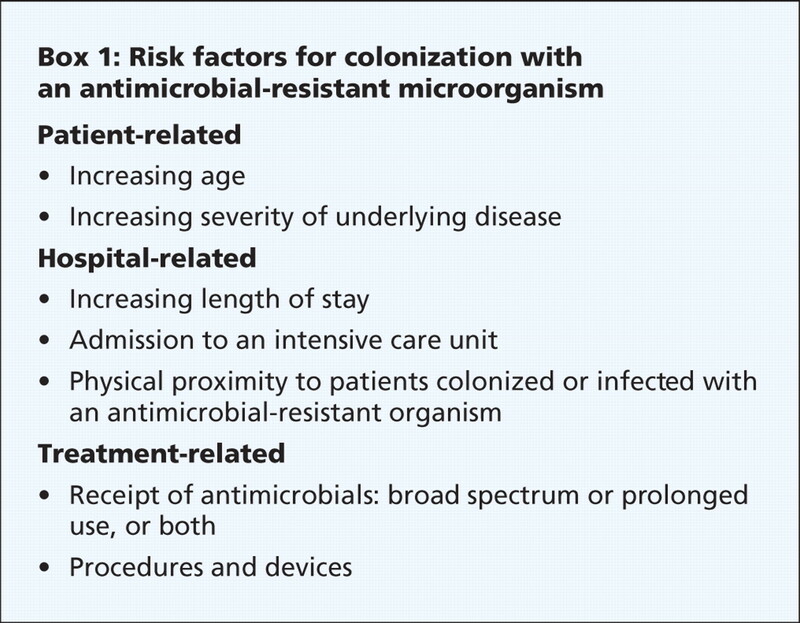 If cohorting patients with the same MRSA is not possible, place MRSA patients in rooms with patients who are at low risk for acquisition of MRSA and are likely to have short lengths of stay. Keep skin wounds of MRSA patients clean and covered until healed. Handle equipment and instruments/devices used for MRSA patients appropriately, with care and attention to disinfection according to institution infection control policy. Ensure that equipment is properly cleaned and disinfected before being used with another patient. Enterococci (formerly known as Group D streptococci) are non-spore-forming, gram-positive cocci that exist in either pairs or short chains. They are commonly found in the human intestine or the female genital tract. The most common organism associated with vancomycin-ressistant enterococci (VRE) infection in hospitals is Enterococcus faecium. Enterococcus faecalis is also a cause of human disease. VRE infections can occur in the urinary tract, in wounds associated with catheters, in the bloodstream, and in surgical sites. Enterococci are a common cause of endocarditis, intra-abdominal infections, and pelvic infections. VRE was first reported in Europe in 1986, followed in 1989 by the first report in the United States. Since then it has spread rapidly. Between 1990 and 1997, the prevalence of VRE in hospital patients increased from less than 1% to 15%. VRE, which is found predominantly in hospitalized or recently hospitalized patients, are difficult to eliminate because they are able to withstand extreme temperatures, can survive for long periods on environmental surfaces, and are resistant to vancomycin. Transmission of VRE occurs most commonly in the form of person-to-person contact by the hands of healthcare workers after contact with the blood, urine, or feces an infected individual. VRE is also spread from contact with environmental surfaces, or through contact with the open wound of an infected person. People most at risk for infection with VRE include the elderly and those with diabetes, those with compromised immune systems, and those who are already colonized with the bacteria. Prolonged hospitalization, catheterization (urinary and intravenous), and long-term use of vancomycin or other antibiotics also increase a person’s risk of infection. Symptoms of VRE infection vary depending on the site of infection and may include erythema, warmth, edema, fever, abdominal pain, pelvic pain, and organ pain. Definitive diagnosis is made by culture and susceptibility testing with specimens obtained from suspected sites of infection. Treatment of VRE infection may include drainage of abscesses; removal of prosthetic devices, IV lines, or catheters; and antibiotic therapy with one or more appropriate antibiotics that show activity against VRE. Consultation with an infectious disease specialist is recommended for treatment of patients with serious infections or VRE that is resistant to other antibiotics. To prevent infection from VRE, the CDC recommends healthcare professionals use vancomycin prudently and promptly detect and report VRE infections. Healthcare providers in direct contact with patients should follow steps for proper hand hygiene and contact precautions (see the discussion on these topics later in this course).